Even though it’s April Fools' Day, we’re not joking around! It might be hard to believe, but each of these 6 unusual Japanese food and drinks products actually exist in Japan. It’s not unusual to pair your seafood dinner with beer or wine, but have you ever wished to try seafood in your drink? 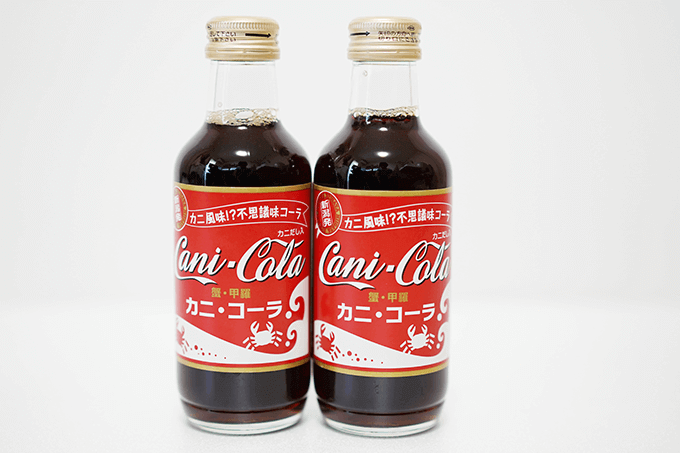 While Cani-Cola or crab-flavored cola does not smell of crab and the first sip will taste of the familiar flavor of cola, there is a definite crabby aftertaste! It may even trick you into thinking you’re eating fresh crabs - without the seafood dinner price tag. 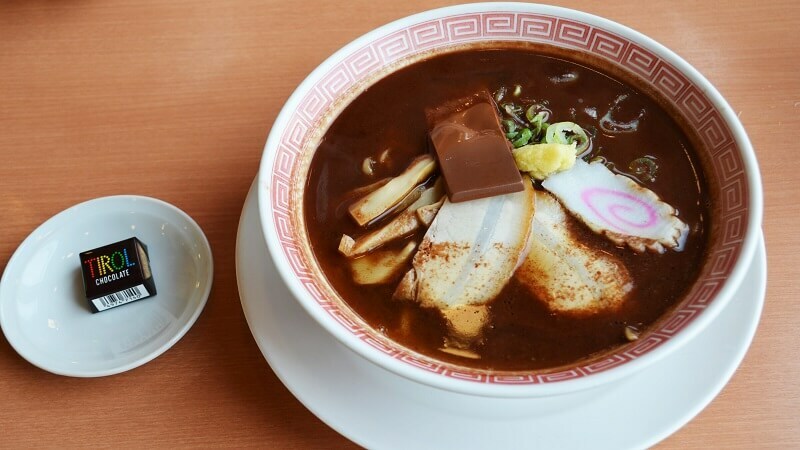 Every year, many Japanese companies offer chocolate-themed items on Valentine's Day and White Day, but ramen restaurant Kourakuen has taken this tradition to a whole new level. The restaurant combines a regular shoyu (soy) stock with cacao oil and ginger. The ramen is served with a chocolate bar on top, which as it melts adds richness to the broth. Thanks to a few fast food chains and Instagram, black ice cream became popular over the last few years. 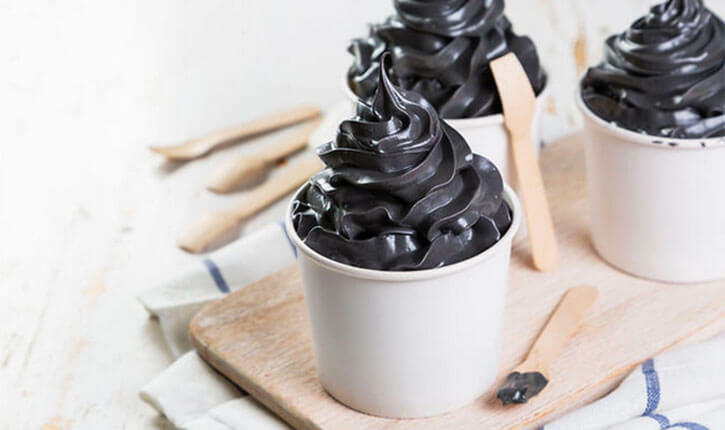 While most used activated charcoal to give the dessert its color, in Japan manufacturers use squid ink! But don’t be afraid, the flavor is fairly bland and not too fishy or salty. And as an added bonus, after eating it you’ll look like you’re wearing black lipstick! There are many unique beer flavors, but wasabi beer has to be one of the most unusual. 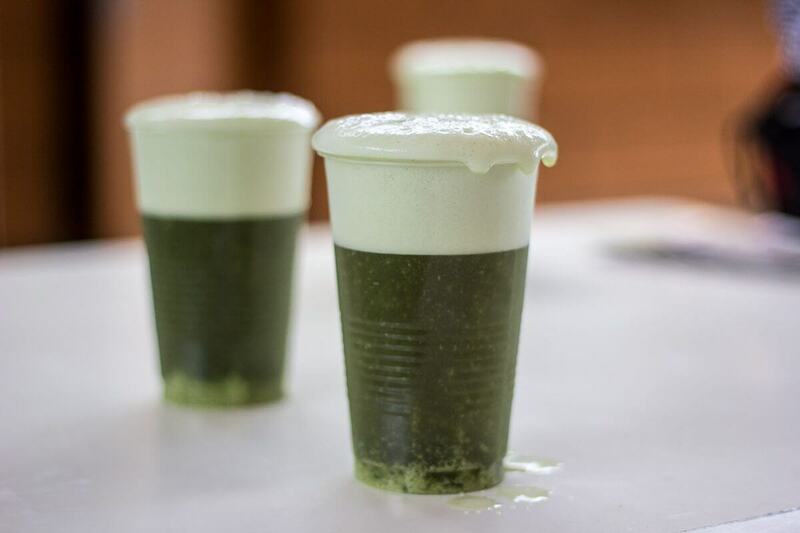 Despite this, wasabi beer has become popular both within and outside of Japan. The wasabi or Japanese horseradish flavor is quite light, but if you’ve ever accidentally put too much wasabi on your sushi, you know that the kick will come! Tomato is a popular flavoring in Japan, for soda, juice and ramen. 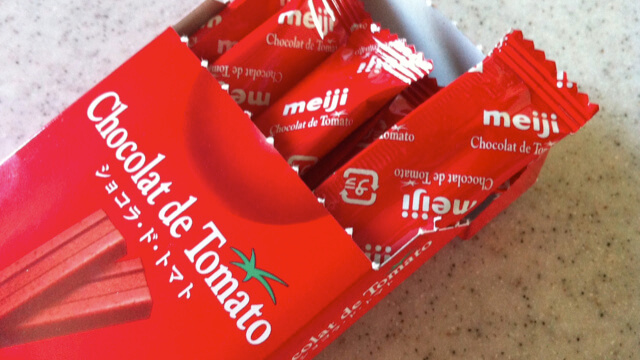 So, could you enjoy some tomato chocolate for dessert? Manufactured by Meiji, this red-colored white chocolate is infused with dried tomatoes and has a strong, acidic flavor. This unique product is made in Omachi, in Nagano Prefecture, by a local wasps fan club. 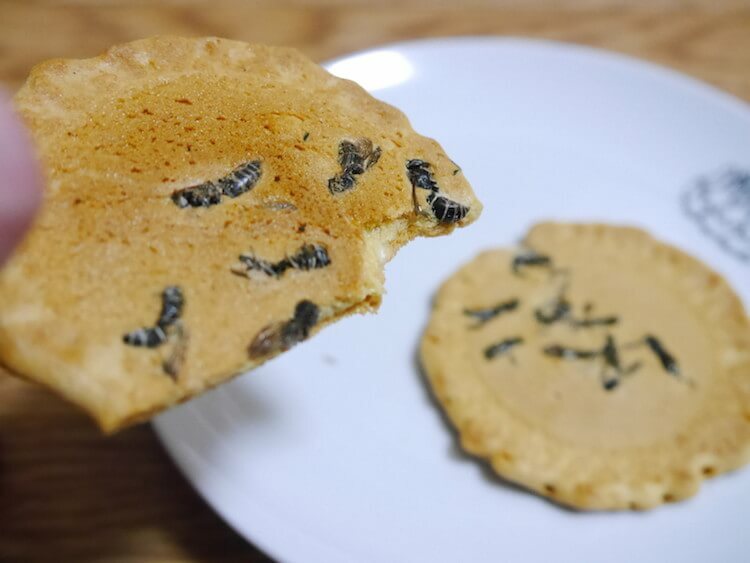 They replaced chocolate chips with wasps in senbei (rice crackers), as they have a high percentage of protein. We think they’re not such big fans of the little critters, if they’re happy to eat them! What's the strangest Japanese snack you've tried? Share it with us on Instagram and Facebook (tag @zenpopjapan). Check out our Ramen, Sweets and Mix packs for some of the weird and wonderful (but totally delicious) flavors of Japan.